Whether you’re bullish or bearish on the dollar, I got yo back with these hot forex trade opportunities on EUR/USD and USD/JPY. Get ’em while they’re hot! 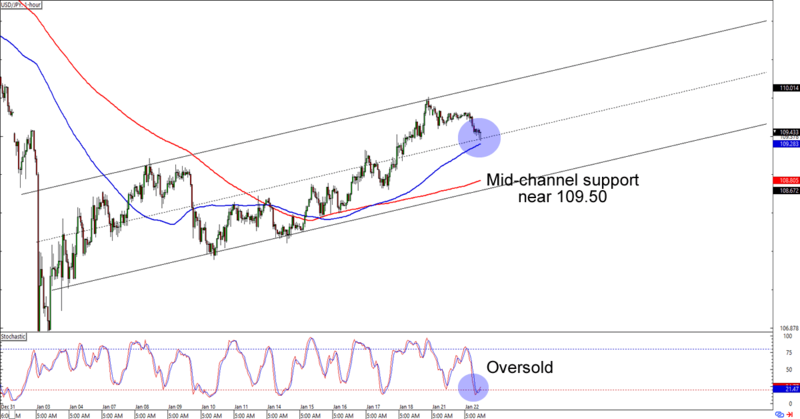 USD/JPY is having trouble trading below the 109.50 minor psychological handle, which isn’t surprising since the level lines up with a mid-channel support AND is right above the 100 SMA on the 1-hour time frame. What makes the setup more interesting is that stochastic is also chillin’ like a villain on the oversold territory. Are the bulls ready to extend the dollar’s gains? Or can the bears drag it down to the channel support closer to the 100 SMA before they let the bulls take over? Watch this one closely, homies! Can’t get enough of trend trades? Here’s another one for ya! 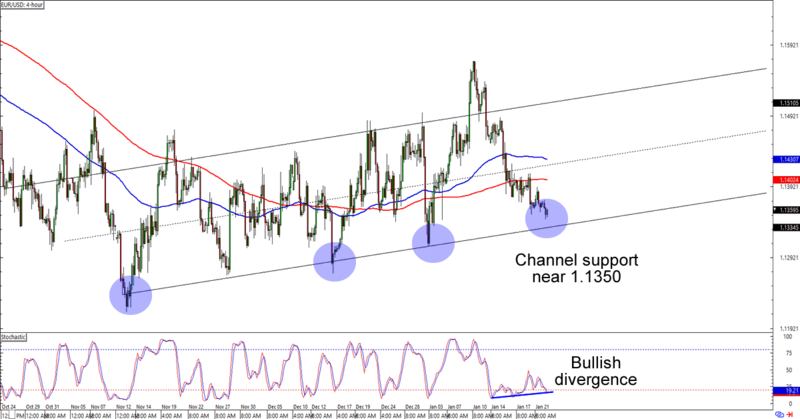 EUR/USD is about to hit the 1.1350 levels, which is right smack at an ascending channel support that hasn’t been broken since November 2018. Oh, and check out the bullish divergence poppin’ up on the 4-hour chart! Question is, will these signals be enough to bring the bulls to the euro’s yard? A long trade at the earliest signs of bullish momentum could give you a good reward-to-risk ratio especially if you aim for the previous highs near 1.1475. If you’re not feelin’ the love for the euro, though, then you could also wait until EUR/USD drops past the channel support and even the 1.1300 area of interest before putting on your short orders. Whichever bias you choose to trade, make sure you’re practicing good risk management when you execute them trading plans, aight?